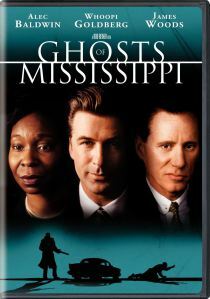 For today’s first review of Ghosts of Mississippi (1996), here’s Reut from Sweet Archive with her thoughts on it. On one of my visits to MovieRob’s awesome blog I discovered Meathead March Blogathon dedicated to Director Rob Reiner, and as a meathead fan, I jumped in and declared my review choices. Here we go! Previous Post Ch Ch Ch Changes! I’ve seen similar films such as Mississippi Burning and A Time To Kill, but I’ve never even heard of this one. Surprising considering the calibre of the cast! גם נכון. רק היום חופש משמח. תודה!